my 86 2.0 si is a bit hard to get started at times after it has bin sitting but not all the time. it is also a bit slugish till i hit about 2500 rpm is this normal? at 2500 the car sudinly comes to life and will just take off and at times it also tinds to hisatate whin i try to take off like there is nothing there. yeah that was my first thot i plan on doing it, i jus didnt think that it would be trying to cut out whin i am trying to pull out into trafic. i was also thinking tps or fuel filter. when your plugs are pretty bad, it usually hurts you the most in the 1k-3k rpm range. you'll also note a loss of power overall. the car will feel like its about to shoot off, then it kinda kicks a bit, then gets rollin. I've been there and done that. start with a tune up first (as it may need it anyway) and if that doesnt solve the problem, come back and we can start working towards the next solution. took me 25 minutes to do a tuneup on my 94 and I was half drunk and singin music most of the time. lol bin there did that befor, ok i will do the tune up to day and we shal go from there. i was also wondering what engine chices do i have that will easiely swap into my car it has 200,000 miles on it and i want to know my options. i would like to keep my trans but dusnt matter. i can do the work lol, i am just new to hondas. my last swap project was my toyota supra i put a ford 302 in it. Did you PERSONALLY put the 302 in there??? or did you have someone fabricate everything up for you and drop it in? I'm not really sure on motor options, as you have a 2g lude. You may have to look around. I know there is only a limited amount of places you can find h22 motor mounts for a 3g ... I could only imagine how hard for a 2g. 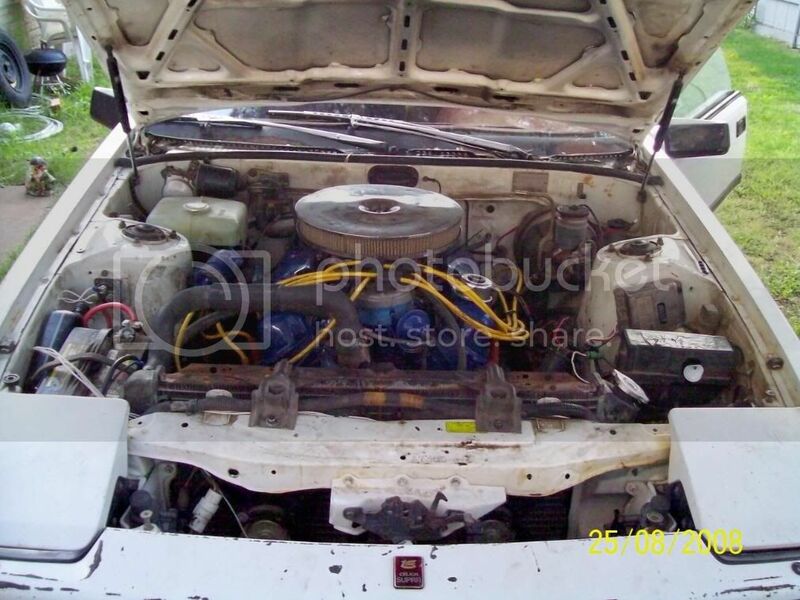 Take a look around on the internet, and see what kind of motors are swapped into the old ludes. And maybe you should start rolling around to some of the meets. From what I've heard its a lot of 3-5 generations, and not too many 1g or 2g ludes show up. yes i built the 302 from the ground up and fabed all the parts to put it in the car and put it in myself it took me 2 months to get it dun. i used the factory toyota trans and built my own bellhousing and clutch. i will try googling it and see what i fined. well i did the tune up and the car is still hard to start but it dus seem to be running better, for now lol. by better, do you mean its not having a hard time taking off anymore? Awesome job on the 302 swap. 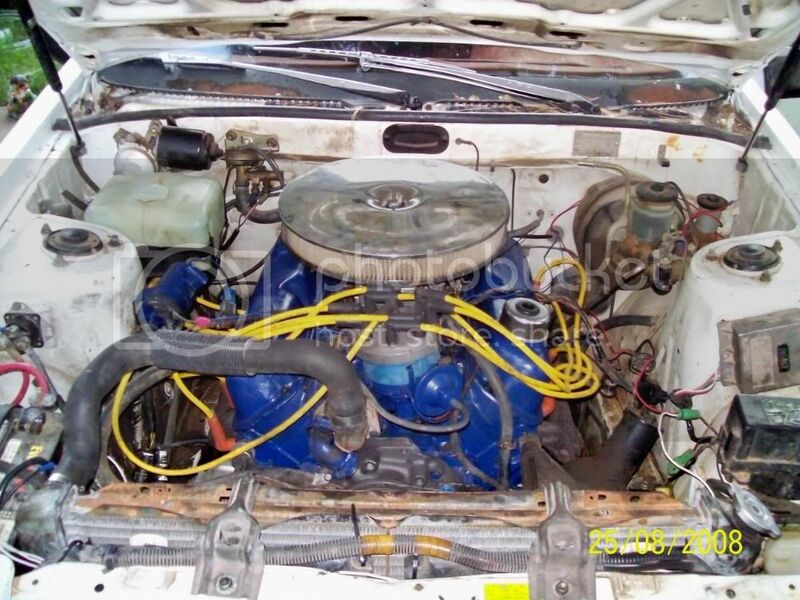 What mods were done to the 302? you know a rough estimate of whp and ft lbs? 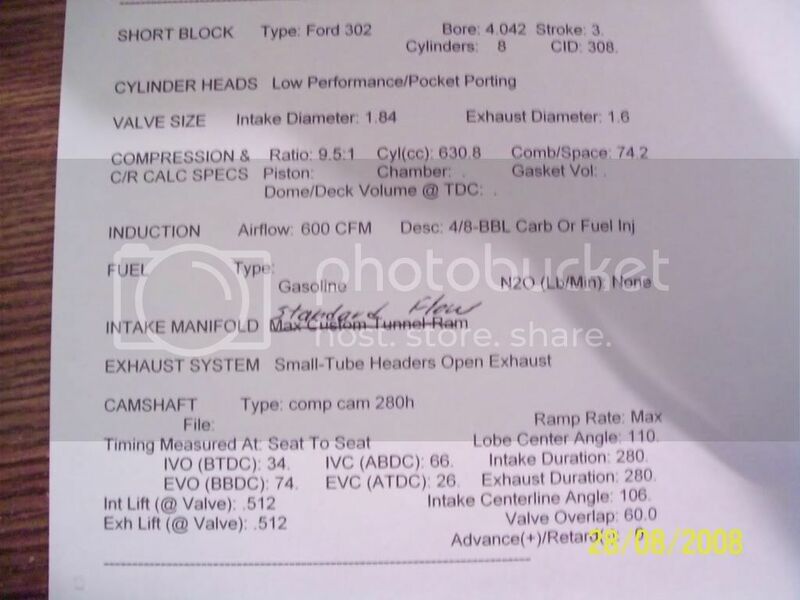 it is bored 40 over with flat tops, 351w heads slight (porting), a comp cams 512 in, 512 ex, cam, 4bbl intake, and factory mustange gt headers. 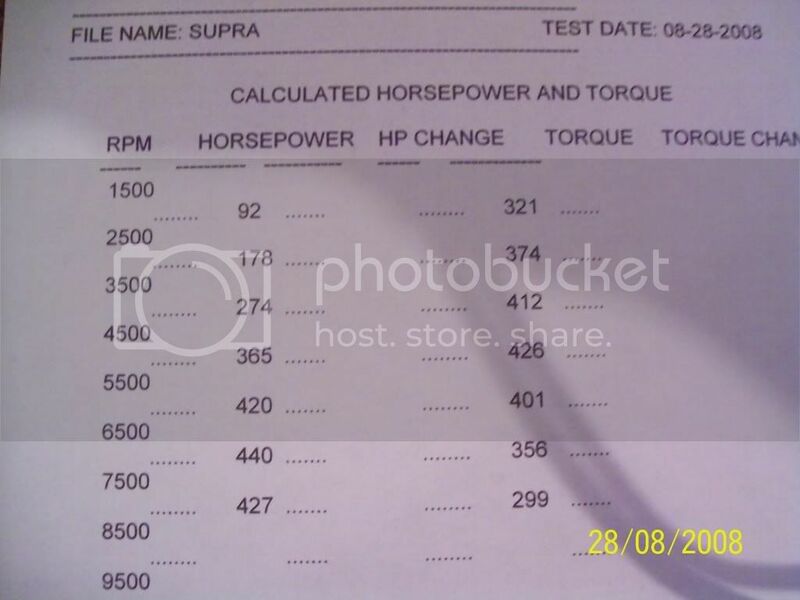 acording to my descktop dyno and to a friend who worked the numbers i should be do 350 fhp and about 400 ftq. so that would be about 315 hp to the ground, and i wouldnt be suprised the car will scare the **** out of ya. ok te car was still doing it today not as bad but it was still trying to cut out, like it wasnt getting fuel or spark but it only dus it every now and then. and agin today (10-12-08) no power, the car starts great whin it is cold but not whin it is warm. i am at a loss with this i checked the spark and fuel and it all seams good. Last edited by bleachfreek; 10-10-2008 at 07:10 PM. well i can get an f22 for $100 garanteed to run, so would it be worth it? ^hell ya worst case ya could sell it for like $300-$400 and but other stuff. When we get driving shots of the 302 supra. whin i get the tags dun and inspection and insuranse lol. i hope soon it's bin cold out and they keep crying snow so it will have to be on a good clear day.